Lord Hanuman is one of the most important and revered Gods in Hinduism. He is recognised as an epitome of devotion, faith, valour and selfless love (this selfless service for Lord Rama teaches us the meaning of true friendship). Apart from Ramayana and Mahabharata, Hanuman is mentioned in several other religious texts. He is worshipped not only in India , but also in Southeast Asia, although in different forms and with varying legends. 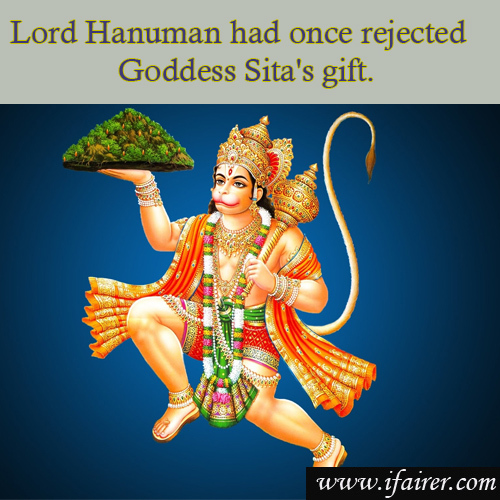 Lord Hanuman had once rejected Goddess Sita's gift.